Here, the world's leading authority on the life and work of Auguste Renoir presents an intimate biography of this great Impressionist artist. Her narrative is interspersed with over a thousand extracts from letters by, to, and about Renoir, of which 452 come from unpublished letters. 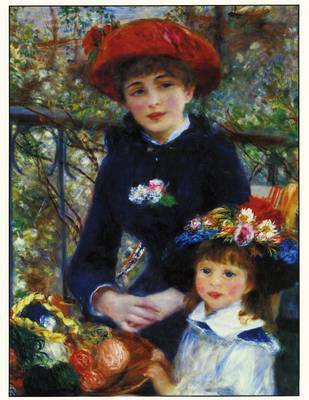 Through these words, the reader gains direct contact with Renoir, as an artist, friend and father. Renoir became hugely popular despite great obstacles: thirty years of poverty followed by thirty years of progressive paralysis of his fingers. Close friendships with scores of people who helped him with money, contacts and companionship enabled him to overcome these challenges to create more than 4,000 optimistic, life-affirming paintings. Barbara Ehrlich White brings a lifetime of research to bear in her biography to provide an unparalleled and intimate portrait of this complex artist. Buy Renoir by Barbara Ehrlich White from Australia's Online Independent Bookstore, Boomerang Books.